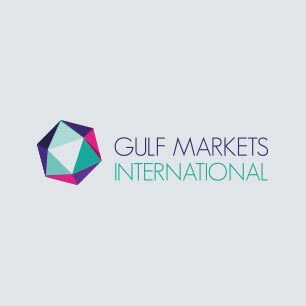 Gulf Markets International W.L.L. (GMI) is a general trading company based in the Kingdom of Bahrain, with operations spread over the Gulf region. GMI’s main activities are focused on sourcing, import and export of a wide range of products from reputable international suppliers for its various divisions and support for joint ventures. GMI also facilitates sponsorship facilities to foreign companies who are interested in having their representative or branch offices in the Gulf region. Elevators, escalators, steel doors and building maintenance – GMI is the exclusive agent for Orona Elevators & Escalators. Orona is one of the leading European manufacturers located in Spain, with operation spread over 85 countries globally. GMI also represents Cox Gomyl, the world leader in building maintenance units. Their equipment are useful for load carrying and window cleaning systems for high rise buildings. Teckentrupp, one of the newst additions to this division is the Swedish manufactured Aritco line of low-rise applications where there are no provisions for a traditional lift. XJ Siemens Escalators and Elevators is another brand that GMI is proud to represent. XJ Siemens manufactures products that are tailored for high rise buildings and large scale projects. Direct Supplies Division – Acts as a specialist sourcing facility for a group of prestigious private and government clients and covers a variety of products as required. Medical Division – Specializes in sourcing and supplying of medical equipment and hospital disposables required by Government and Private hospitals, healthcare centers and clinics. They also supply equipment and general supplies specifically for laboratories of hospitals, universities and educational institutions. Their brands include 3M Gulf Ltd. ESPE, 3M Unitek, 3M Gulf Ltd. C3SD, Planmeca OY, Zimmer Dental Product Lines & Implants, Lawton, Bastos Viegas. Building Materials Division – Specializes in supplying different building materials, and construction suppliers. They are agents for International companies that produce general building materials, construction chemicals, timber, plywood, paint, color rendered decorative plasters, pipes, fittings, and electrical supplies. Agricultural & Animal Feeds D – Promotes and markets various agricultural and horticulture products. Their main products range from peat moss & fertilizers to drainage pipes & irrigation systems. Industrial/Laboratory Chemicals- Caters to the requirements of the industrial and major manufacturing units. The product range includes water treatment chemicals, process chemicals, R.O. antiscalants, chemical closing equipment, and filtration equipment.